An Oregon couple who chose prayer over doctors will go to prison for their child’s death. Dale and Shannon Hickman don’t believe in doctors. Because of this religious conviction, set forth by the cult the couple belongs to, Oregon City’s Followers of Christ Church, the Hickmans let their premature infant die after being being born at home rather than seek medical help. As a result of this decision, the couple was convicted of manslaughter in 2011. The little boy, named David Hickman, weighed just 3 lbs, 7 ounces at birth. His tragically short life was only 9 hours long. According to reports, the Hickmans went to Shannon’s mother for help when she began having contractions more than two months prior to her due date. 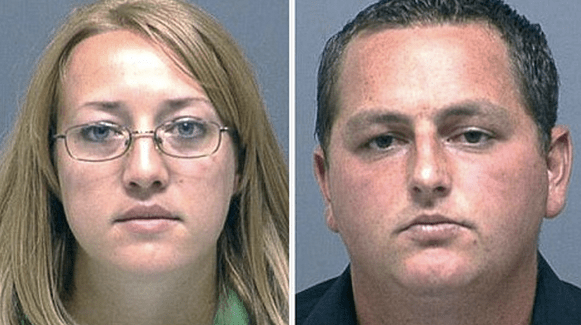 The couple says they didn’t notice anything was wrong with the baby until just minutes prior to his death — a claim which an expert on this subject has called a lie. Instead of calling a hospital like most rational people, they prayed over the dying baby and “anointed” his head with oil. Apparently, this cult is not just in one small congregation in Oregon, either. They have outfits operating in Idaho, Oklahoma, and California. The Idaho branch of the cult has suffered a string of easily preventable deaths as well. The same is true of a similar faith healing cult called General Assembly Church of the First Born. Of course they knew, and they’ll go to prison for it. This cult and their brainwashing has been responsible for 78 child deaths and 10 women, all of whom died in childbirth. Believing something does not absolve you from being a reasonable and aware person or from your duty of care. An important legal principle, we believe. I am endlessly fascinated by the way that the GOP makes itself look perpetually un-electable thanks to the idiot lack of control of its wilder fringes. I see someone with the wonderful monniker of Elias Isquith (I want his name!) at Salon.com has noticed a real doozey. 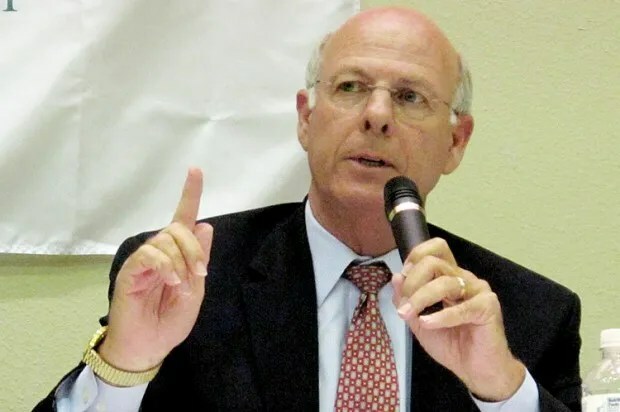 In his recently released memoir, New Mexico Congressman Steve Pearce says the family should be run using a rigid chain of command. It’s a well-established reality of contemporary American politics: The Republican Party is struggling to find ways to better connect with female voters. The “War on Women” and all that. Well, here’s some unsolicited advice to the GOP on how it could perhaps have more success convincing women that they, too, care about their freedom and autonomy — tell New Mexico Rep. Steve Pearce to go far, far away. In his initially little-noticed memoir —”Just Fly the Plane, Stupid!” — Steve Pearce argues that, like the military’s chain of command, every household should be run according to a rigid hierarchy. And, wouldn’t you know it, guess who Pearce imagines should be at the tippy-top of the family pyramid? Steve Pearce! No doubt anticipating that writing about how women should submit to their husbands might give people the impression that he thinks women should assume the subordinate role to their husbands (via submission), Pearce assures the reader that this Bible-based understanding of marital relations is “not a matter of superior versus inferior; rather, it is self-imposed [by the wife] as a matter of obedience to the Lord and of love for her husband.” Got it? Anyway, good luck with the whole rebranding thing, GOP. You’re going to need it. Actually, Pearce is being just a bit disingenuous here. The bits of the Bible arguing that people wearing cloths of two different kinds together should be put to death (get that polyester cotton shirt off immediately, bro!) not to mention the numerous injunctions in favour of taking slaves, especially nice juicy young female ones, or of having hundreds of wives, might be just a TAD more controversial? And given that C’man Pearce seems keen to focus on this one, is it just that he’s ill-educated and doesn’t know the others, is he an outrider for a general “get that woman back in her box” movement, or do we assume from his focus on this and not other rules for civilisation that he actually believes some bits of the Bible are true, and others aren’t. Hmmm, Congressman? And in which case, why is this bit true? Anyway, back to the real point of the article, (before my Theology degree kicks in and I start frothing at the mouth), while the Republican Party remains in thrall to these (take your pick) religious fundamentalists, anti-climate science, anti-evolution, anti-abortionist, anti-contraception, anti-equality, anti-health care, wide-eyed anti-gay homophobes, racists, conspiracy theorists, and Tea Party fruitcakes, they are – and should be – unelectable. And that’s bad for democracy, bad for America, and bad for the world. For God’s sake, someone on the right show some leadership.